Police say they are investigating a murder and suicide case in Aberdeen last night in which a 64-year-old man and his 63-year-old wife died. 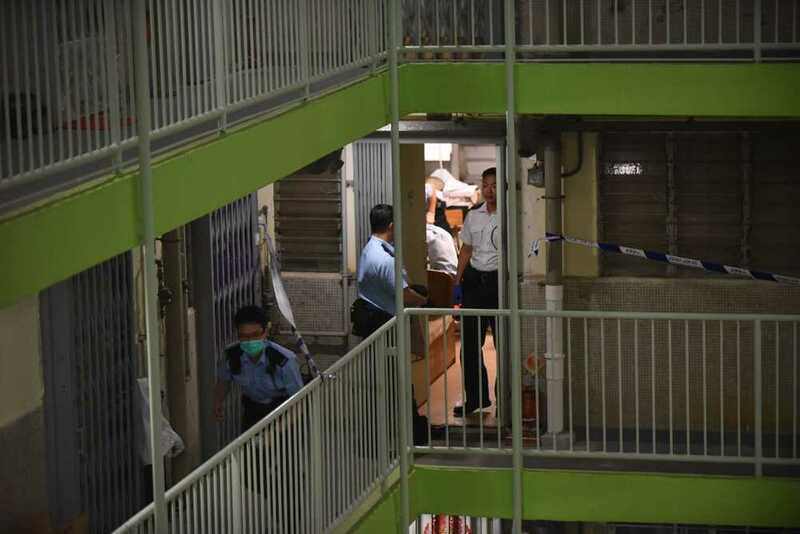 A woman alerted police at about 10:00pm on Wednesday, saying that her father was found hanging and her mother was lying unconsciously inside a unit in Wah Sang House, Wah Fu Estate. The man was found hanging with a rope while his wife was found injured to her head. They were both certified dead at scene. Initial investigation revealed that the 64-year-old man committed suicide after attacking his wife inside the unit, according to police. A crowbar was also found inside the unit.